Today, we stumbled upon a really cool piece of art, The Coca-Cola - South Africa Folk Art Bottle. 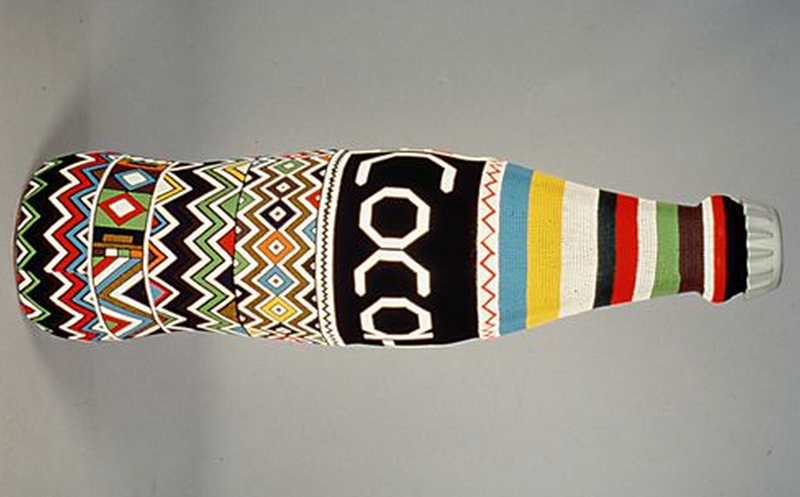 For the 1996 Centennial Olympic Games, some countries created their own one-of-a-kind Coca-Cola bottles to celebrate the folk art and craft traditions. A team of six South African artists including Maria Msiza, her mother Anna, her sisters Johanna and Sarah, and friends Anna Ntuli and Francinah Mtshwene created this colorful bottle for the occasion. 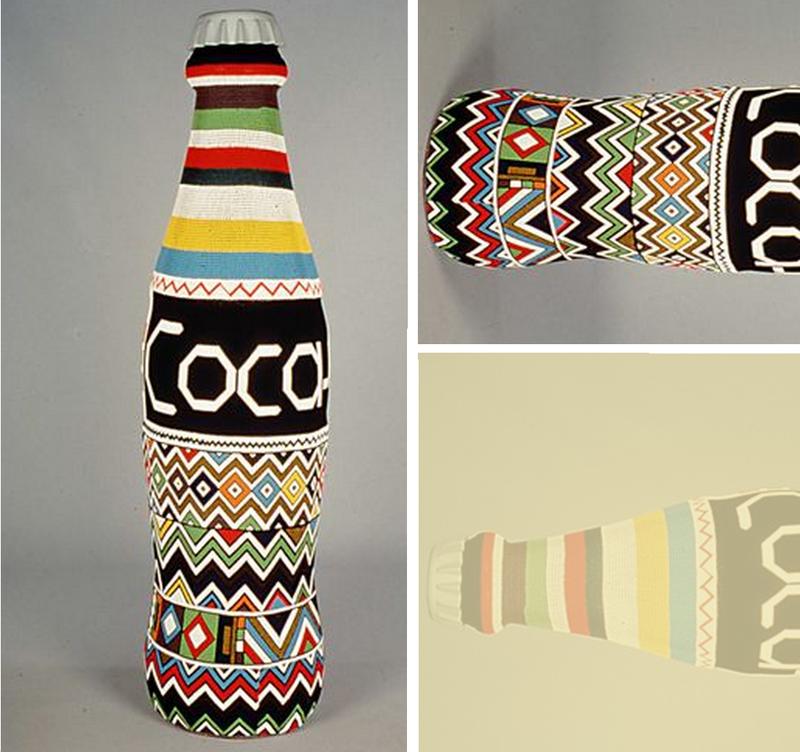 The Mzansi bottle was meticulously covered by beads tied with nylon thread, and it took the artists five weeks to complete the bottle.